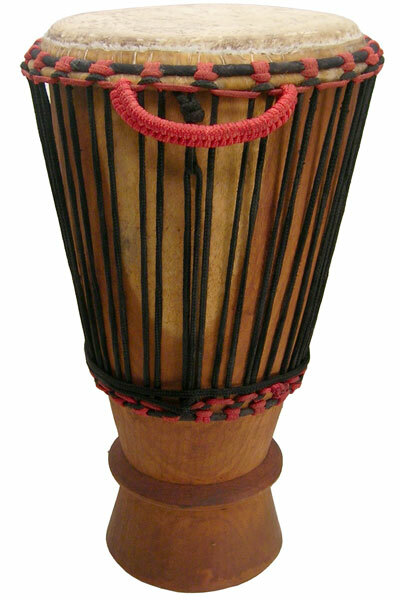 The ngoma (n-go-mah) drum comes from the Congo and surrounding areas, and produces a sound similar to the conga or tumbadora drum. 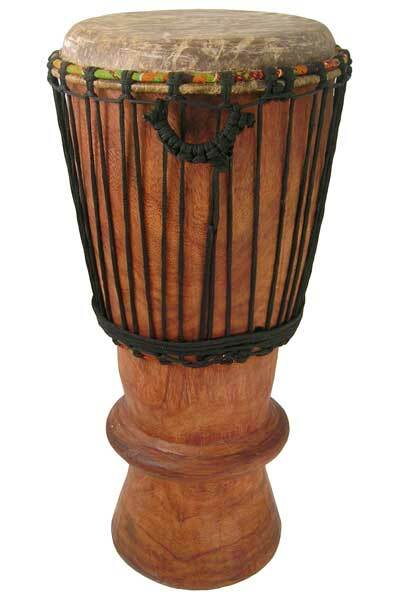 Our ngoma drums are hand-carved in West Africa from a solid, seasoned log of Mansonia wood. 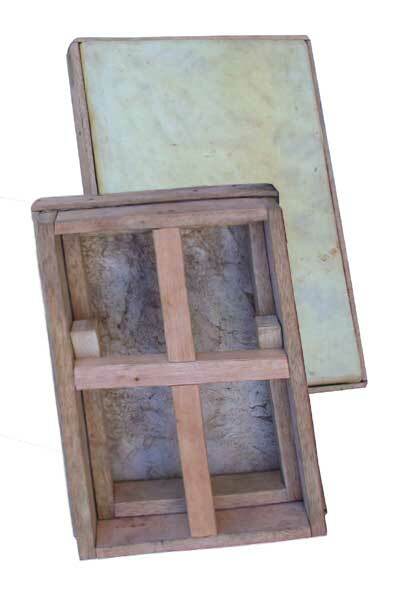 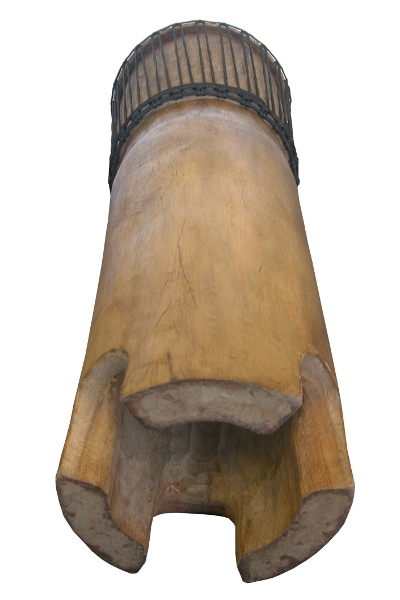 Classic Ashiko Style Ngoma is available in the 13×42 and 11×38 sizes. 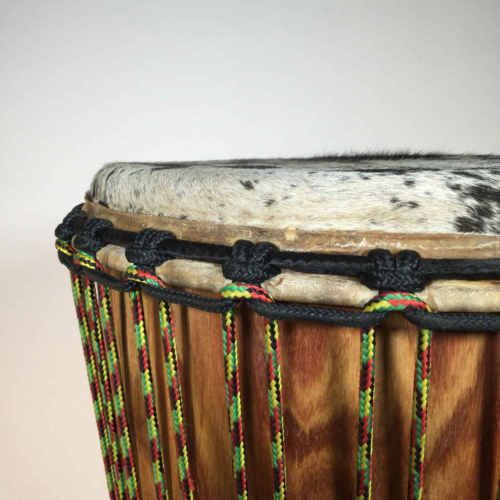 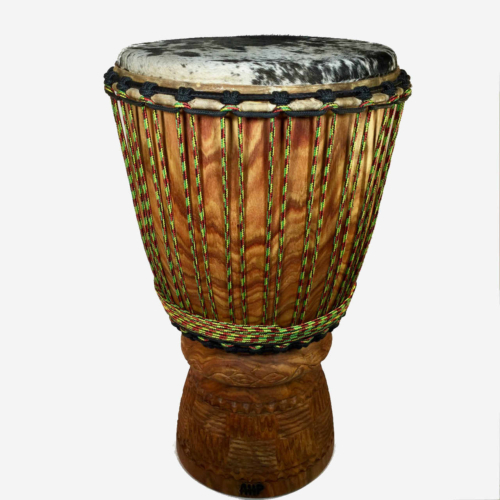 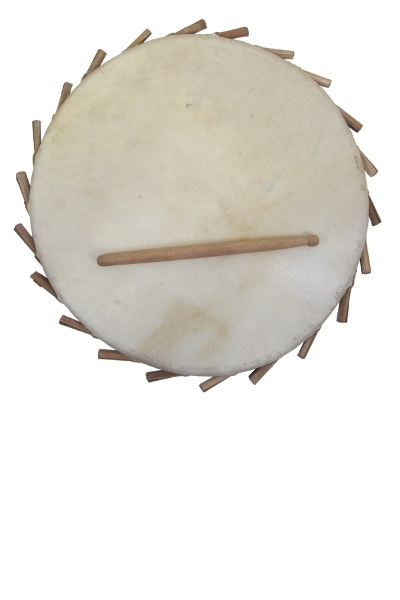 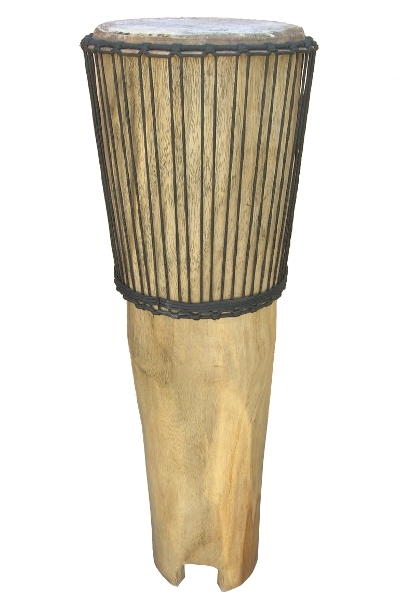 This ngoma is larger than most full-size ngoma drums, and lighter than would be expected for the 42 inch height. 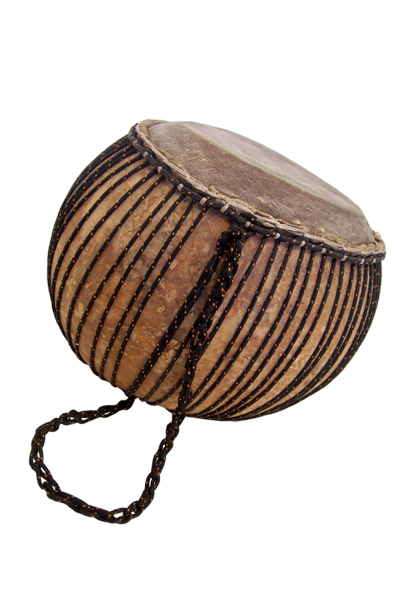 The bass response is impressive with powerful tones and thick cow-skin slaps. 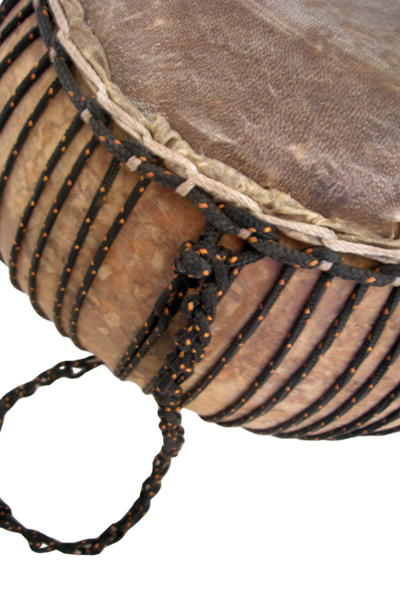 The smaller ngoma (n-GO-muh) drum is carved to be lightweight and compact, making it well suited as a travel drum. 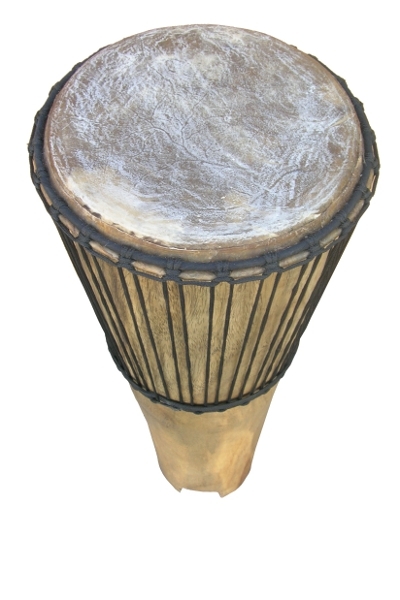 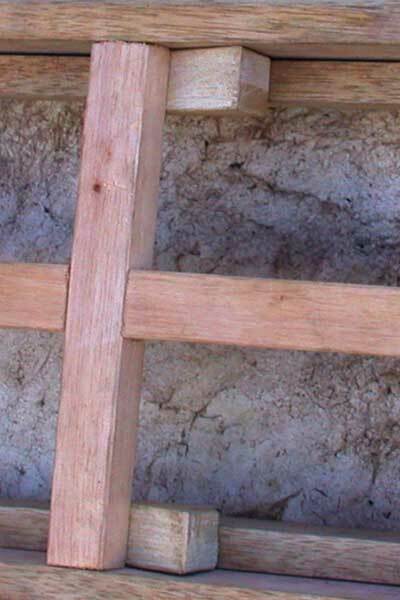 The body style is a straight taper from top to base, both inside and outside dimension, similar to an extra-tall ashiko shape. 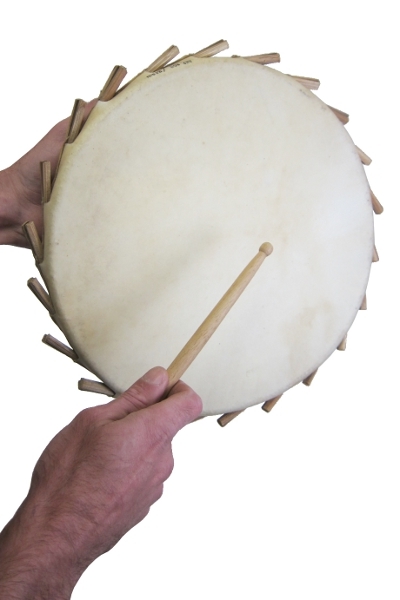 3 sound holes provide an open base, necessary to produce full range of tones. 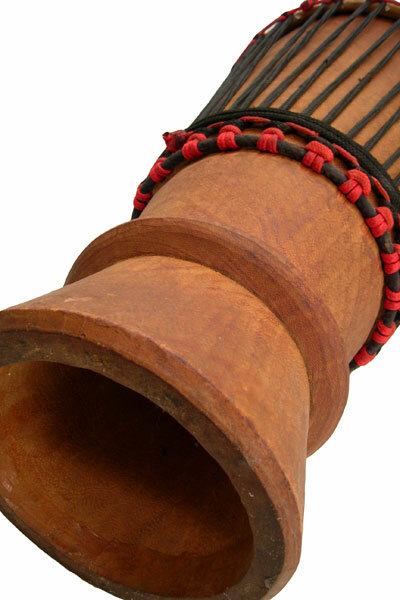 Carved in our Ashiko style.